When students make a decision to serve their country, Uncle Sam wants to make sure that money won’t stop them. Tuition to The U.S. Military Academy at West Point, The U.S. Air Force Academy, The U.S. Naval Academy at Annapolis, The U.S. Coast Guard Academy, and The U.S. Merchant Marine Academy, is waived for cadets and midshipmen, but the entrance criteria are narrowly reserved for the fit, in every sense of the word. Not only are the intelligence and scholarly criteria exhaustive and competitive, but for all except the Coast Guard Academy, it takes an act of Congress to get you in (actually, it is a congressional nomination, but you get the idea). The physical fitness criteria to be considered for these institutions is on par with professional athletes, or better. No freshman fifteen here! These five federal service academies serve to produce service men and women in all five branches of the U.S. military, including the Army, Navy, Marines, Air Force, and Coast Guard. In order to ensure that the investment made into these young people’s future of professional success can also benefit the country in the way of service and dedication, candidates selected to study at these institutions pledge a number of years of service in the military. For the Military Academy at West Point, Naval Academy at Annapolis, and the Air Force Academy, the standard military commitment is five years active duty; five years in the Army, Navy, and Air Force respectively, and three more years in the reserves. For the Merchant Marines Academy, it is six active years and two reserve years. For the Coast Guard Academy, it is five active years. In addition to these post-graduation commitments, there are costs associated with attending each academy, similar to additional room and board costs at another college or university, but unlike some other institutions, the expense is generally under $2,000 per year. These fees pay for things like food, dry cleaning those impressive uniforms, and the barbershop costs to keep cadets and midshipmen representing their institution in the best light possible. Most college students’ cell phone bills cost more than that. 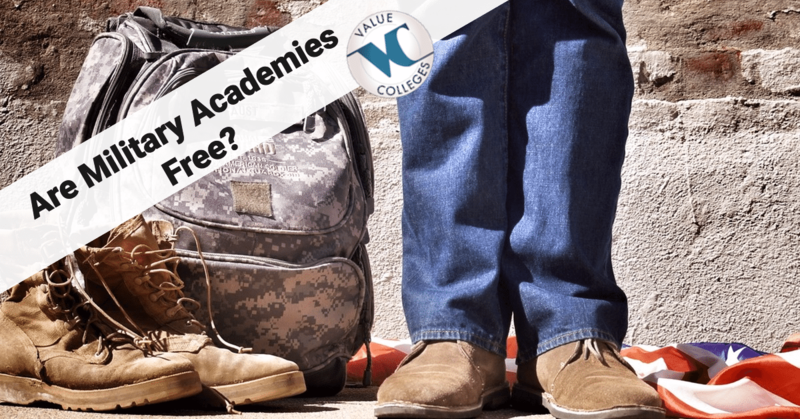 While the model of dedication to excellence at any cost has yet to catch on in all colleges and universities around the country, the federal service academies have found a winning combination: removing financial barriers of access to those applicants with the drive to achieve greatness, and supporting the same applicants to follow through with their commitments. It’s not a model that would extend to all public universities and colleges – passing a ropes course just to get in might be too much for most people – but student support and affordability are worth the cost to turn top-notch students into top-notch leaders.